Ever wonder what happened to the folks with whom you went to college? Thanks to the wonders of the internet (and an alumnae directory from Mississippi University for Women) I've discovered that my favorite classmate in the education department is now a principal, and has a son with problems like my son's. I've also discovered that out of the about 10 girls on my hall (we were allowed to sign up for rooms as a group, so you lived next door to and down the hall from your friends), who were all my age, three of us had babies within a few months of each other. What is remarkable is that these women's kids who are my kid's age, aren't the age of my older kids, but of my baby, who was born just weeks before my 43rd birthday. One of those women is Michele, whose blog is the newest on my blogroll. We ran into each other again on our alumni listserve. The other is Norma. I don't know why, but her name popped in my head the other day, so I tried googling her, and even found a picture. For some reason, she looks a little older than I remember her, but her baby has to have been born within weeks of mine, because both were fifteen months old for Katrina. I was Cookie Mom this year for my daughter's Girl Scout troop. For those of you who don't know, the Cookie Mom is the one in charge of Girl Scout cookies. We train the girls in cookie procedures, goal setting etc. We pass out the order forms, we collect the order forms, we order the cookies, we pick the cookies up, we pass them out to the girls (with proper reciepts) work booth sales, pick up more cookies, listen to parents complain, collect money, make bank deposits, and finally turn in the mountain of paperwork the council requires. My troop sold 252 cases of cookies, and each case holds 12 boxes. I spent two weekends working booth sales and had cookies in my den for two weeks. Yesterday I found four more boxes (of course not the good kind) in my desk drawer, so I put them out for sale. However, I'm DONE. The money is turned in, along with the paperwork. Of course it would have been cheaper to write a check to send my daughter to Washington DC this summere than what it was to buy all the cookies we bought, but it was a good cause, right? The National Institutes of Heath has scienficic educational materials. Have to remember these next time one of "those" projects is due. 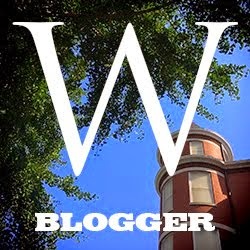 I read a weblog that was a weblog before blogs were cool. It is a site that is updated periodically, that lists links to other sites and follows a theme--in other words, a blog. This old blog is LLRX and it covers research and technology for lawyers and law firms. They have one column titled "After Hours" and this month, they discuss Premium teas, recipie search engines, and a site that pairs the wine with the food. Have a look! Research Buzz turned me on to a really interesting historical timeline site. You plug in the year, BC or AD, and it gives you a list of things that happened that year, as well, depending on how popular the year is, things that happened the year(s) before and after. It gives links to pertinent web pages and images. Take a look. I've said many times that one of the nicest things about working in my office building is Mr. P., the security guy who is on duty workdays in the morning, until about 2. He greets everyone, recognizes strangers and directs them to thier destinations, calls elevators for people who have thier hands full, wishes everyone a "happy Friday" and generally makes you smile as you pass his desk in the morning. Friday I went down to the little snack shop for something sweet. I was by myself. As I headed toward the elevator, Mr. P approached me. He said he'd been trying to get me by myself, said I looked great and asked how much weight I'd lost. It made my day. Friday evening I had the baby in the stroller and was out for a walk. We ran into some neighbors I hadn't seen in a while and she told me that I looked like I had been losing weight. Today at WW I got my 20 lb star! I've lost almost twenty pounds and the suits I bought between Thanksgiving and Christmas are just too big. I started going through my closet and pulled out everything that was way too big. Then I went looking for things that fit. I didn't find a lot, unfortunately. I put on weight gradually through the years, but then about three and a half years ago, I got pregnant. The twenty pounds I've lost this year were the twenty pounds the baby put on me. Unfortunately, when I got pregnant I had reached the point that I knew I had to lose weight; nothing fit and I didn't want to have to shop in the big ladies' stores. After the baby, I had to buy big ladies' clothes, so what I have now are a few things that were on the tight side, but are now loose but wearable, and a few things that used to be tight before the baby, and that are tight on my now, but that will grow looser with time. I did wear a wrap skirt today that fit well, and I think made me look thin. I have a LONG way to go but I feel like I'm making progress! One thing I've tried very hard to do is to give my kids the same love for books that I have. So far I've had good success with my daughter and some success with my son (he loves the Harry Potter books, but most other age-appropriate books don't interest him). The baby seems to be following in thier footsteps. We have books all over the house--and that's a good thing. One thing I figured out a long time ago is that it is always good to be the best in the office at something. When internet access was a new thing in the office, I decided that I was going to be the internet expert, and subscribed to several newsletters that have helped me achieve that goal. Today one of them discussed Ask.com, which used to be known as "Ask Jeeves". Rather than trying, like Google, to be the biggest, they are trying to be the most relevant. Anyway the article included a discussion of searching the term "children's literature" (without the quotes) on Ask.com. I did that search there and found some really cool stuff, so if you are into children's literature, go have a look. I took the day off today. I had to pick up Girl Scout cookies this afternoon, and today was the first anniversary of my mom's death so I wanted to go to mass, so all in all it seemed like a good day to take off. Mass this morning was the school mass for our parish school, which meant there was singing, with the lyrics on the wall like they do on Sunday. The songs were "kid friendly" and there was one that had some phrase in it about being enslaved by sin. For some reason, that struck a note with me and has stayed with me all day, so I prayed about it tonite at adoration. I guess its real easy to see the rules as enslaving, and doing what I want as freeing, yet if I step back from the emotion of the moment and think logically, it makes about as much sense as saying my three year old would be more free if she was allowed to run into the street. Yes, momentarily she would be, but the natural consequences would serve to limit her freedom much more so than "keep out of the street" does.